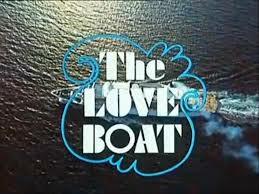 In many episodes of “The Love Boat” there was a scene were special passengers were asked to join Captain Stubing at his designated dining room table. It was considered a real honor to receive such an invitation. At your next fundraising event, you should consider following in Captain Stubing’s footsteps – albeit without the cruise ship. 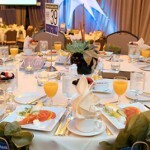 Captain’s Tables are a great way to increase revenues at a fundraiser. For those unfamiliar with the term, a Captain’s Table is when an entire table at an auction gala is purchased by a supporter of the charity who then in return invites his or her friends to join them at the event. There can be many Table Captains at your fundraising auction gala. To begin the process, suggest to the board members of the organization that they all should purchase a table and assume the role. Other supporters can join in as well. 4) That the generous participation in the evening fundraising activities is appreciated by the Table Captain. By better understanding the charity’s mission, needs and goals it’s not unusual for a Table Captain’s guest to become a regular attendee of future events and a strong supporter and donor for years to come. 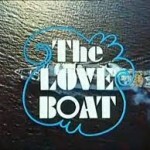 Now, if I can just get the theme song of “The Love Boat” out of my head.